Some say that side sleeping is the best position to have for your body. You can’t get a good sleep though if your mattress doesn’t work for you and the pillow you bought simply fails on helping you throughout the night. A mattress topper can’t repair the damage that your mattress may be doing, but it can sure make a change for the good for your body. 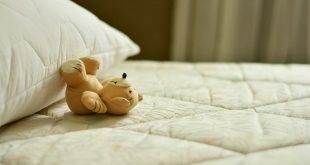 There are many types of mattress toppers out there, but only some of them are a good choice if you are a side sleeper. There aren’t a million things to consider when choosing, but some tips are good to follow anyway. The essential thing on your mattress topper is the material is made of. The memory foam is still the most popular material for the mattress toppers as it gives great support, in a nice, soft way, depending on its density. The memory foam also remains quite cool, without making you too hot in the night. Latex and feather filler mattress toppers also work for your sleep, as they are comfortable and warm, but they don’t handle very well the control of your body temperature, making you all sweaty. 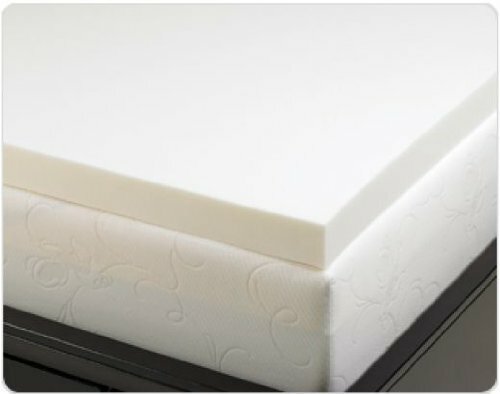 Take a look at the thickness and density of your mattress topper. 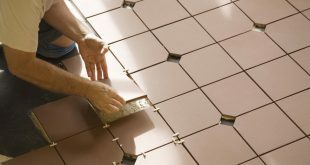 The reference numbers should be 2 to 4 inches for the thickness and 3 to 5 pounds for the density (and you may go higher than 5 pounds). The thicker the mattress topper, the firmer it is –and longer lasting just as well. The same thing applies to the density and the higher the density, the firmer the mattress topper feels. Don’t get over the top though and as a side sleeper, you should stick with a medium density and thickness for your mattress topper. 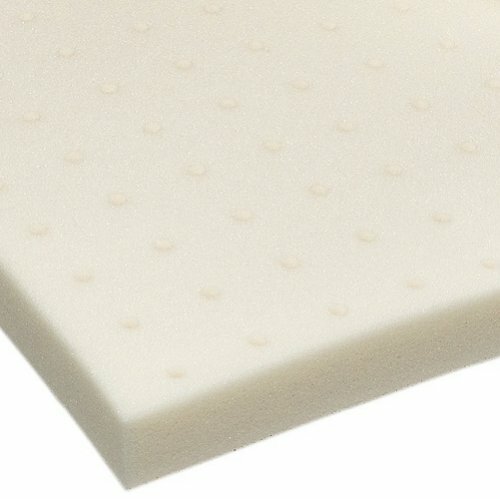 It makes sense that the mattress topper fits the best your mattress and you just need to pay attention when placing the order. You may not be allergic, but it’s good to get a mattress topper that is free of VOCs and heavy metals, for safety reasons and environment safety just as well. Most memory foam mattress toppers do come with a specific smell and the higher the quality of the memory foam, the lesser the chances for a strong smell for the topper. One last tip: always check your wallet before placing the order. 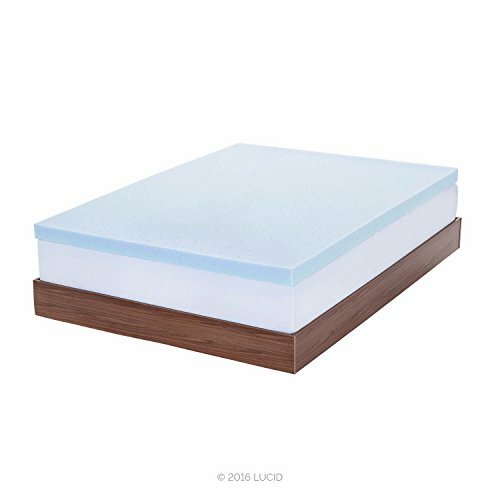 After all, it’s not worth it to get a high-end mattress topper if you’ve got nothing to put on the table :P.
If firm support isn’t quite something you like on your mattress topper, than a topper like the Lucid 3-inch Gel Memory Foam Mattress Topper should be a good choice for you. The thickness (3 inches) is just right for many and the breathability is simply a bonus. The topper is made of 3” ventilated gel memory foam is very efficient for comfort and soothes back pains, minimizing pressure points. The topper presents also cooling abilities and helps you wake up fresh and clean in the morning. The mattress topper is a sure deal for any side sleeper, as it has just the right thickness for this specific sleep position. The breathability of the topper is a big plus and comes from the high airflow on the topper. The mattress topper performs well on controlling your body temperature also and this is because of the gel material within. The gel material captures inside your body heat and dissipates it evenly, for a constant temperature in your sleep. The same sized space ventilation holes- improve the air circulation- and this translates into efficient breathability for the topper. Not only the topper is airy, but also it’s also very responsive, coming back to its shape for a long time. The mattress topper conforms immediately to your body’s weight and shape, providing the right alignment for your spine. In a nutshell, the mattress topper is a soft support for your body that keeps you dry during your night sleep. 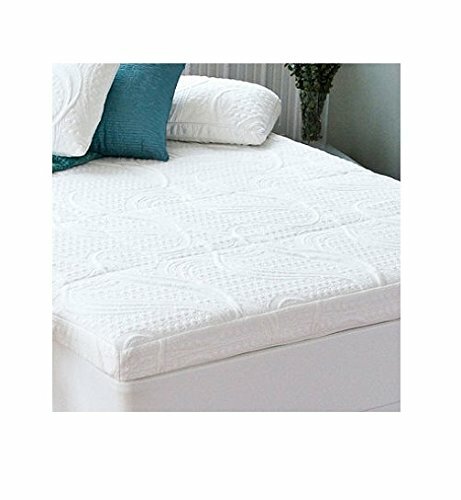 All in all, for a very good price, you get a mattress topper that works for many side sleepers, despite its minor flaws. The right thickness for your mattress topper when you are a side sleeper should be somewhere between 3 to 5 inches. Therefore, if you find a 4-inches mattress topper, chances are it’s a great match for your side sleeping position, sort to speak. The Best Price Mattress 4-Inch Memory Foam Mattress Topper not only makes a good choice for any side sleeper, but it also comes with many good things and reliable performance. The mattress topper is quite firm (which is why some may not find it as a good option for them) and provides a nice support. It’s built is firm enough to really make a difference on your mattress, in a comfortable way for sure. 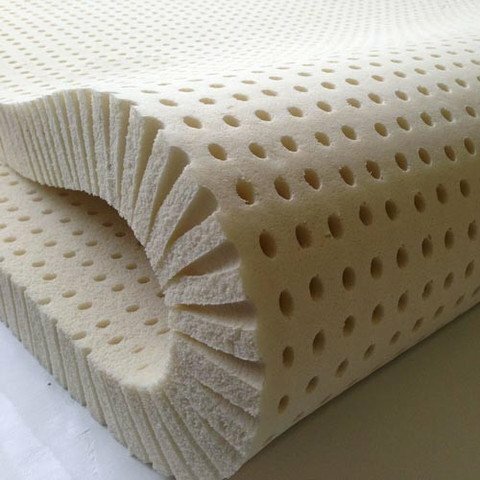 Despite the fact is thick, the mattress topper still presents good responsivity and its active suspension is highly efficient. The mattress topper is springy and comes back to its original shape for quite some time. At the same time, it’s able to isolate the movements of your sleep partner so nobody disturbs anybody with their fussing and turning (even though there isn’t going to be much turning since the mattress topper is so comfortable). The efficiency of the mattress topper comes from its composition, for sure. 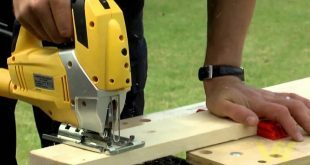 The topper is made with 2.5” of high-density foam and 1.5” memory foam. The mattress topper spreads evenly your body weight and the risk for cradling is minimal. It takes almost instantly the shape of your body, alleviating back pains and minimizing pressure points. A polyester mesh zipper cover protects the mattress topper, expanding its life span. The cover is easy to remove for cleaning also. The mattress topper is well made and has only a subtle smell. All in all, for a very good price, you get a mattress topper that serves you well if you are a side sleeper. 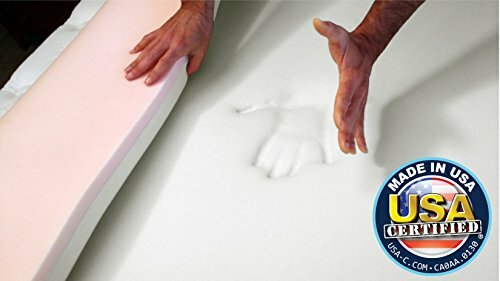 If you don’t like to take any chances and want to play it safe when it comes to your mattress topper, get a sure thing like the Red Nomad – Queen Size 3 Inch Thick, Ultra-Premium Visco Elastic Memory Foam Mattress Pad Bed Topper. The mattress topper is made with 3 inch of Visco Elastic Memory Foam, memory foam with lower density. The craftsmanship on the topper sure stands out and sets the topper apart from other mattress toppers. The CoolCycle Polymer design traps cool air inside and lets the heat go out. This translates into nice, fresh and dry sleep overnight for you, no sweats at all. The mattress topper is supportive and minimizes pressure points, soothing neck pains and other pains related to sleep positions. As a matter of fact, the topper is quite versatile and works for all sleep positions. The CertiPur certified of the mattress topper ensures you the topper is safe to use and has minimum impact on the environment just as well. No worries on the durability or the ease of use, either. The mattress topper is made to last and it’s easy to handle. The minor issues don’t hold us back though and we still consider the mattress topper to be a dependable option when in need. When in need to revival your old mattress, don’t hesitate to give it a go with the Night Therapy Memory Foam 4 Inch Pressure Relief Mattress Topper. The mattress topper is thick and firm enough to boost up a bit your old mattress, bringing more comfort to your sleep. 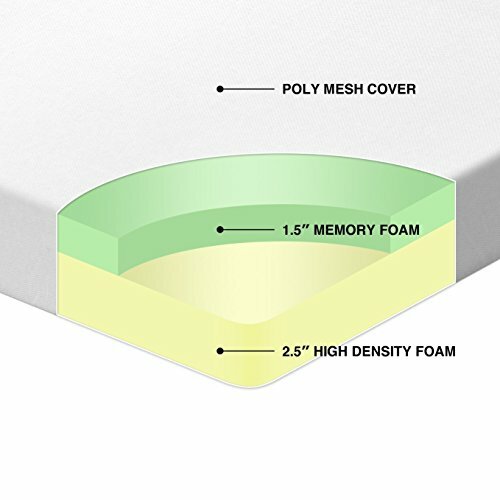 The 4-inch memory foam topper is made with 2 inches of memory foam and 1.5 inches pressure relieving comfort foam. The double layers minimize the pressure points and sooth any back pain. The 0.5-inch cover increases the topper’s durability and adds more comfort. The topper is made with foam that is CertiPur-US certified so it sure meets the quality and safety standards. The Pressure Relieving Comfort Foam used for the base layer is responsive and eliminates pressure points. The BioFoam used on the topper is made also with natural green tea extract and active charcoal. The moisture is absorbed thanks to these natural ingredients and the specific smell of foam is also diminished. As the mattress topper comes so well packed to you, you need to patient and give a couple of days to the mattress topper to fully expand. No matter the minor issues, we recommend the topper as an elegant option that works for any side sleeper. 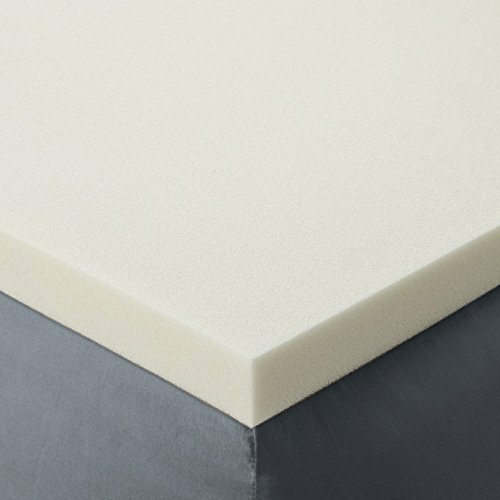 The 3 inches of thickness on the Sleep Joy 3″ ViscO2 Ventilated Memory Foam Mattress Topper sure provide enough support for your body, for any side sleeper, especially if he/she’s struggling with some back pain. The mattress topper is made with Visco O2 ventilated memory foam, which ventilates well, ensuring efficient breathability for the topper. The airflow is constant so you get to sleep dry and fresh the whole night. We like the mattress topper for its comfort as it cradles you so nicely, minimizing pressure points. The topper conforms immediately to the shape and weight of your body. Its open-cell memory foam build is quite durable so the topper maintains its elasticity for a good amount of time. The topper takes care of the pressure points and alleviates back pains just as well. As it’s full of plant-based ingredients, the mattress topper doesn’t emits that strong specific smell that you usually feel on a memory foam mattress topper. On the other hand, due to its composition, the mattress topper has a minimal impact on the environment also. If you want to help the mattress topper last longer, it’s better to only spot clean it and not use the washing machine or the dryer for cleaning. The mattress topper is made here at home in the USA and this make seal the deal for many of you. In all fairness, these minor flaws aren’t deal breakers and we think the topper is a reliable option that is worth to try. What we like the most about the Snuggle-Pedic Patented DOUBLE LAYER 4lb. & 5lb. Density Memory Foam Mattress Topper is the versatility of the topper, as it’s able to adjust to any body type, providing nice comfort every time. The mattress topper is a reversible topper, made with Viscoelastic Memory Foam that conforms to your body, no matter its type. 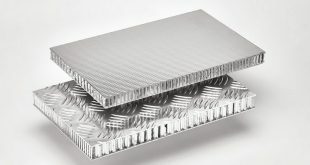 The double layer design, with 4lb. /5lb. density creates a firm support for your spine, making the topper a good option for all types of sleep positions. The 5lb. density side ensures comfortable support, whereas the 4lb. density side gives a softer backing for your sleep. The two-layer design makes the topper feel thicker, without adding unnecessary weight. The topper sure leaves the feel of memory foam/gel topper, but it’s actually thicker and not that difficult to move around. If you struggle with some allergies, it’s good to know the mattress topper is hypoallergenic and dust mite resistant so it puts your allergies under control. The mattress topper is quite reactive to your body temperature and doesn’t get you hot during your sleep. The topper is very well made here at home in our USA and gives you a nice, snuggle feeling. No matter the minor issues, we still like the mattress topper for its comfort, versatility and ingenious design. There must be a very good reason for which people are getting the California King Size 3 Inch Thick, 4 Pound Density Visco Elastic Memory Foam Mattress Pad Bed Topper and we’re pretty think comfort, for a very good price, it the big secret. The 3” mattress topper uses 4lb. of memory foam and takes the shape of your body within seconds, adjusting to your weight just as well. The mattress topper diminishes pressure points and you don’t spend the night tossing and turning anymore. 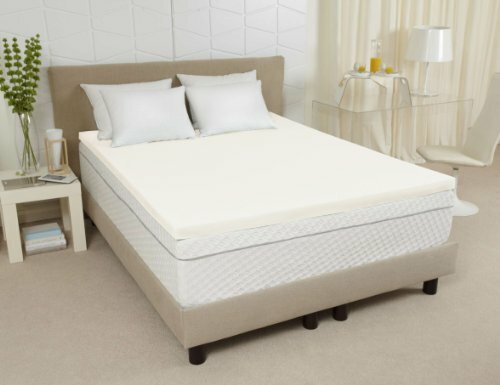 We really like the gel-feel like of the mattress topper and the support it gives. Its design ensures comfort and the topper is versatile and efficient for all sleep positions. As it’s so thick and tough, the mattress topper is both durable and doesn’t sag in time. It’s bouncy and responsive and stays like that for quite some time. It alleviates any back pains or any other pains related to your sleep position. Let’s not forget the mattress topper is PureGreen certified so it completes the quality and safety standards of our USA. It doesn’t contains any harmful chemicals and doesn’t have that strong memory foam smell. It’s rather gentle with your allergies and you shouldn’t worry much on the smell. One last thing: as it’s temperature sensitive, you need to be patient (or not) for the topper to fully expand if you are in a colder environment. Our take aways are that, even though the mattress comes with some minor drawbacks, it still manages to be a reliable option as it’s supportive, firm, comfortable and long lasting. For those of you who like natural products, a very good option when side sleeping is the Pure Green 100% Natural Latex Mattress Topper. The mattress topper is made of 100% Natural Latex and contains no fillers or synthetic latex either. 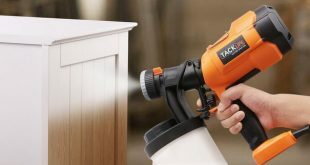 This also means the topper is hypoallergenic, anti-microbial and dust-mite resistant. It remains naturally cool so you don’t wake up sweaty in the morning. The breathability is also efficient which counts so much for you sleeping on a dry surface. 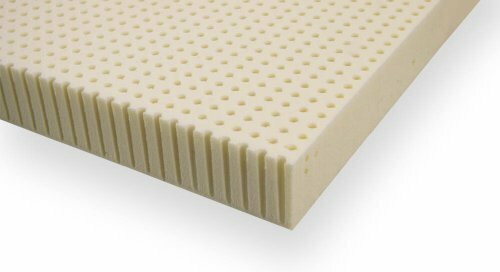 Latex gives great pinpointed support, which explains the comfort of the mattress topper. It has a 5.0 lbs. /cubic ft. density, so the topper is rather dense. The topper has a firmness rating of 30ILD and this means medium firmness. To get a better image: the topper sits in the middle when it comes to firmness and is a good choice for anyone looking for pinpointed support. It’s soft, yet firm enough to ease your back pains and minimizes any pressure points. We like the topper as it’s well made and you should consider trying it especially if latex mattress topper would be a first to you. Nevertheless, as it’s high quality, hypoallergenic and comfortable, the mattress topper is a natural option you should definitely try. We really like many things about the Serta 2.5-Inch King Gel-Memory Foam Mattress Topper and its minor flaws don’t hold us down for recommending it for any side sleeper. 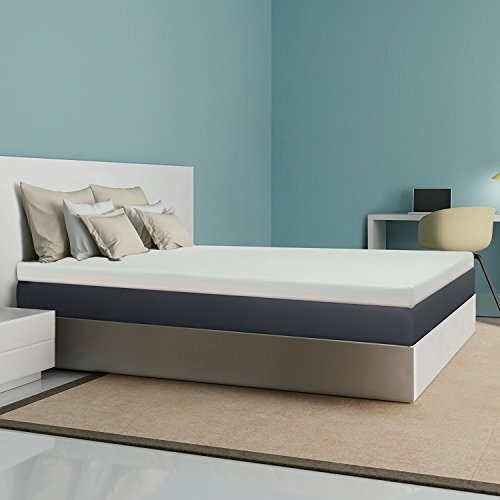 The mattress topper is made with 2.5-inch gel infused memory foam and this is a good thing right from the sound of it. The infused gel beads dissipate your body heat, providing a nice, constant sleep temperature throughout the whole night. The patented gel formula, the Serta memory foam combine, and the results is a restful night for you, with no tossing or turning. The memory foam gives a nice, cradling support, soothing any pressure points or pains. Additionally, the memory foam is also dust mite and allergen resistant, which is always nice for the allergic customer. The mattress topper aligns your spine and gives the right support your back needs when side sleeping. The cotton cover of the topper is stretch-to-fit, breathable, and so soft. It has a nice touch feel and it’s easy to remove for washing. The topper is thick enough to give comfort when you sleep. It’s made here at home in our USA and our people sure did a great job on it. We try to see the bigger picture and that gives us a reliable, well-made mattress topper that brings a lot on the table and not that many flaws either. 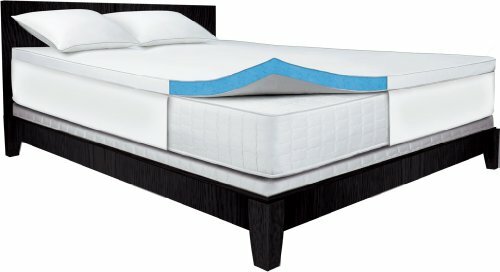 Are you tired of trying so many types of mattress toppers for your side sleep? You still got a chance with a talalay latex topper like the Ultimate Dreams Queen 3″ Talalay Latex Firm Mattress Topper. The topper is made with Talalay Latex that is efficient for alleviating any back problems and minimizing pressure points at the same time. The 3” blended mattress topper comes in various options when it comes to firmness, so it’s impossible for you not to find what you like the most. Anyways, a medium firm topper seems to be working the best for most side sleepers out there. 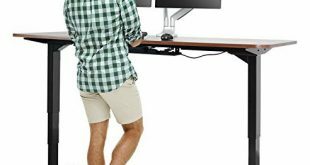 The topper provides a rather soft support for your back, but this doesn’t make it any less efficient. The mattress topper is quite responsive and conforms to your body’s weight and shape within seconds. Latex is naturally hypoallergenic so you don’t need to worry about your typical allergies when using the topper. Its bamboo cover is also hypoallergenic and gives your allergies a nice break. It’s a breathable, easy to clean cover that protects and expands your topper’s lifespan. Additionally, it feels so nice to touch also. Latex is also naturally breathable so it’s able to keep you nice and cool throughout the entire night. It spreads very efficient your body heat and you don’t wake up all sweaty in the morning. No matter the minor cons, we still like the mattress topper for all its qualities and comfort it gives to any side sleeper.